Fritz has been on the cusp of walking for about a month and really enjoys walking assisted everywhere. He's only 9 months but he's always been a very active baby and he never stops moving. 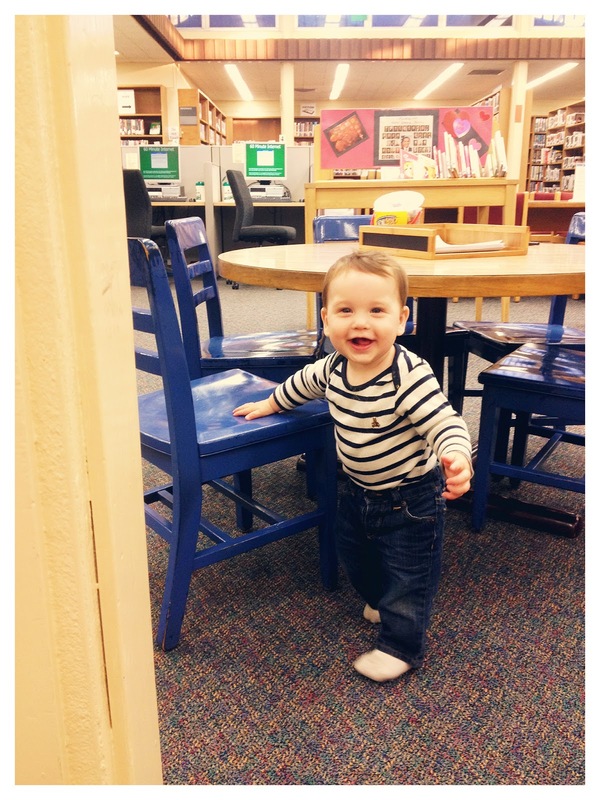 The other day we went to the library and he decided to go for it - he stood at the coloring table with the blue chairs and slowly moved towards me, giggling little fits of laughter with each wobbly step. Of course, I was my overly-animated self and got really excited, which was hard to do in the library. 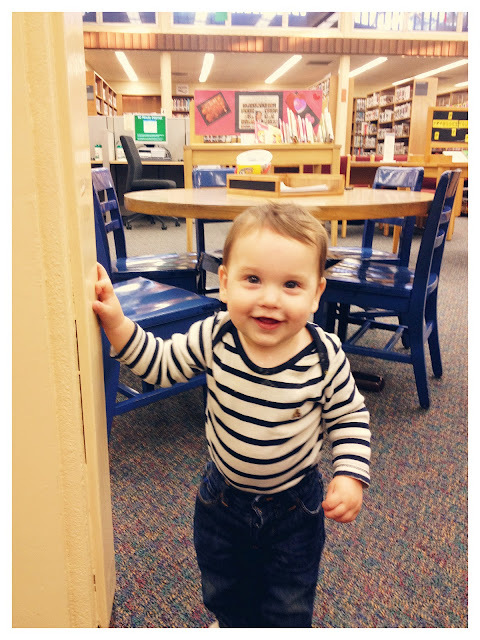 :) He still isn't in full-blown "walking mode" but I'm counting this as his official first steps. This boy is so joyful. These pictures perfectly depict his personality. You can see in his eyes that he is a happy soul - I love him so incredibly much. He makes my days bright and I am so much happier when he's around! 9 month young and already 'on the road'??? His open mouth smile gets me every time. It's the BEST! !